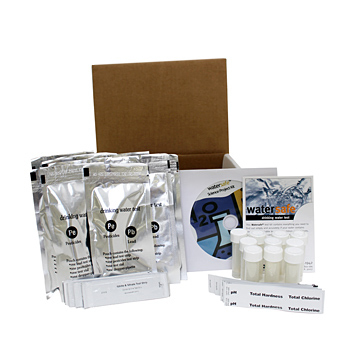 The WaterSafe brand of water test kits combine accuracy, ease of use, and affordability. Whether you need to test well water, tap water, or water for a science fair project... the WaterSafe brand of water testing kits has test kits to fit your needs. Science Project Kit 10-pack is a comprehensive test kit for comparing the water quality of up to 10 different water samples. Results on the spot. Purity of water has far reaching real life significance. Science Project Kits are ideal for for science fairs and school projects. They are designed to provide structure and at the same time can highlight student thought and innovation. Kits are easy enough to be used by elementary school children and scientifically sophisticated enough to be used in experimental investigations by high school students.